These instructions will help you find out (set up) IP configuration of the switch managed through the console port. If you do not know the IP address of the switch, you usually cannot do the administration through your internet browser. Typical solution is to follow the manual and try the default settings, reset the settings or connect the switch through console port. 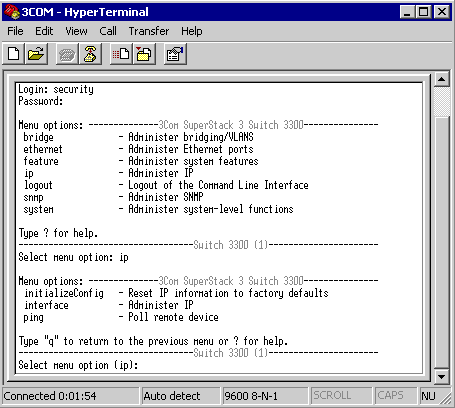 HyperTerminal - is a program designed for communication between computers or devices through serial port, modem or network connection using TCP/IP (Winsock). 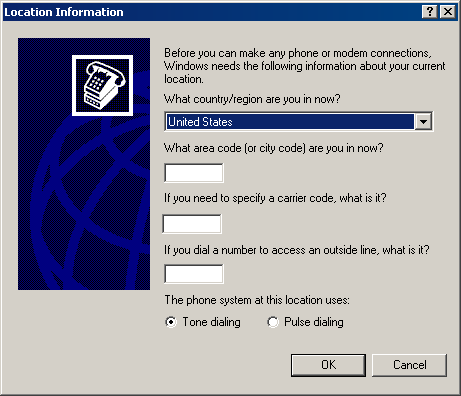 HyperTerminal is used for creating telephone connections, modem testing, file transfers, device configurations. 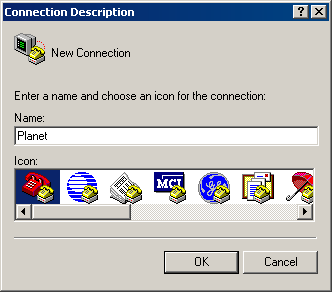 At the outset of internet, this program was used for connection to the BBS services, but was later replaced by www. 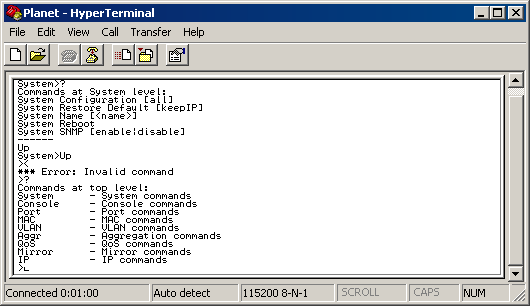 HyperTerminal is included in all Windows versions from 95 to XP. You will not find it in the Vista Beta version and it will not be a part of the final version either. The program is originally not a product of Microsoft, but Hilgraeve. Those who are missing some features, visit the website www.hilgraeve.com. You can download HyperACCESS or HyperTerminal PE and use them in Vista as a replacement of HyperTerminal. In Windows 2003, X64 the program must be installed first - Control Panel - Add or Remove Programs - Add/Remove Windows Components - Accessories and Utilities - Utilities - Communications - HyperTerminal. To connect, use Null-Modem Cable which connects Console port on switch and serial port (COM) in the computer. If using the connection to 3Com switch through Port Console, no other devices should be connected through the front RJ45 connectors. When you start the program for the first time, a location window may be displayed. Country code is obligatory. For our purpose, enter any number and confirm with OK in the following window. Connection Description - Enter a name and choose an icon for the connection. Advanced connection settings. In our example, we focus only on connections through serial ports. Our cable is connected through COM1. 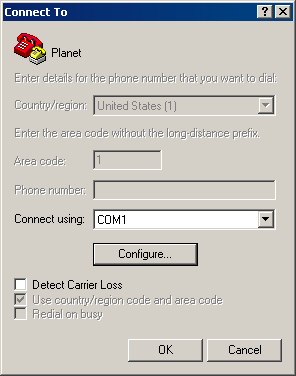 Choose COM1 and click OK.
Alternatively, you can choose modem or TCP/IP connection. However, it is not suitable for our purpose. 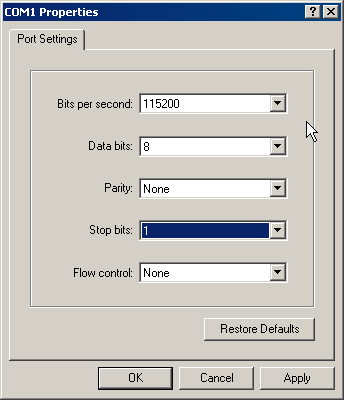 Port Settings - usually 115200,8,none,1,Hardware. In the newly opened window, connect to the device. In our example, type admin and press Enter. Before you are asked to login and before you enter your password, you have to double-press Enter. In case of an unknown password, firmware update may help. You will find instructions at 3Com website. In the menu, find IP section and set up the IP address of the switch and disconnect the serial cable. After your computer and switch connects to network, you can administer through your internet browser or Telnet.